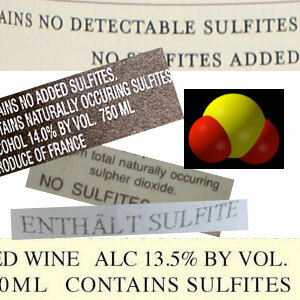 Yesterday, the European Union published a press release saying it had reached agreement on rules governing organic wine, meaning that instead of just saying «"made with organic grapes," wines made under these rules will now be able to bear the official appellation of "organic wine" on their labels. I guess when it comes to avoiding headaches, we can always rely on the old Henny Youngman gag: "Doctor, it hurts when I do this!" "...Then don't do it!" For now, though, all this medical research is giving me a headache. Time to pop open some wine.